Springtime weeds quickly become a nuisance to gardeners, farmers, and anyone trying to keep the sprouting vegetation under control. Central Coast Propane of Paso Robles has a solution to herbicides, hoeing, tilling and hand pulling and has published a report about the benefits of using flaming for weed control. Weed control using specially designed propane torch technology is an accepted practice for small properties and agriculture. Flame weeding kills unwanted weeds by passing a flame over weeds to heat the plant tissue just enough to kill the plant and the root. Flame weeding is a viable alternative to herbicides for organic farmers and for those who want to reduce their herbicide use. In California, weed flaming is used by homeowners, vineyards, orchards, row farms, and to eliminate invasive weeds in wild lands. Weed flaming is used throughout the United States, Canada and Europe. The University of California Statewide Integrated Pest Management Program recommends flaming as one of the methods for eliminating weeds before planting crops. The California Invasive Plant Council has launched a project, “Flaming: A new tool for wild land weed management” that has been funded by the California Department of Food and Agriculture and U.S. Forest Service. The flame heats the air over the weeds to around 2000° F and sears the plant rather than burning it. The flame doesn’t actually touch the plant, but hovers a couple inches above the plant for a second or two. The heat ruptures plant cells causing the plant to die and is highly effective on broadleaf weeds that can quickly invade crops and land. Some grassy weeds may need more than one application. Flaming is most effective when new sprouts are under three or four inches tall. Flaming is most effective when new sprouts are under three or four inches tall. Weed flaming can be used in weather conditions that prohibit spraying. Because the technique is non-toxic, farmers can return to their fields immediately, or even continue working a safe distance from the heat. Weed flaming can be done during rain or immediately after. Weed flaming equipment is available for the homeowner and small property management, and for gardens, vineyards, orchards, and row crops. The single flame model is most popular for killing weeds in sidewalks, driveways and home and small property fence lines. For agriculture a propane tank is mounted on a trailer and the propane flows through pipes to the flame tips. Flaming trailers come with two and up to eight tips that are configured for working in orchards, vineyards, row crops, alfalfa fields, potato fields and a variety of other crops. The experts at Central Coast Propane can help in selecting the right equipment for the job. Central Coast Propane carries single torches for small jobs and works closely with one of the leading weed flaming equipment manufacturers. The Propane Education and Research Council (PERC) is offering financial assistance to help farmers and ranchers purchase propane-fueled farm equipment, including weed flaming equipment. To apply, click here to download information from PERC or call Central Coast Propane. 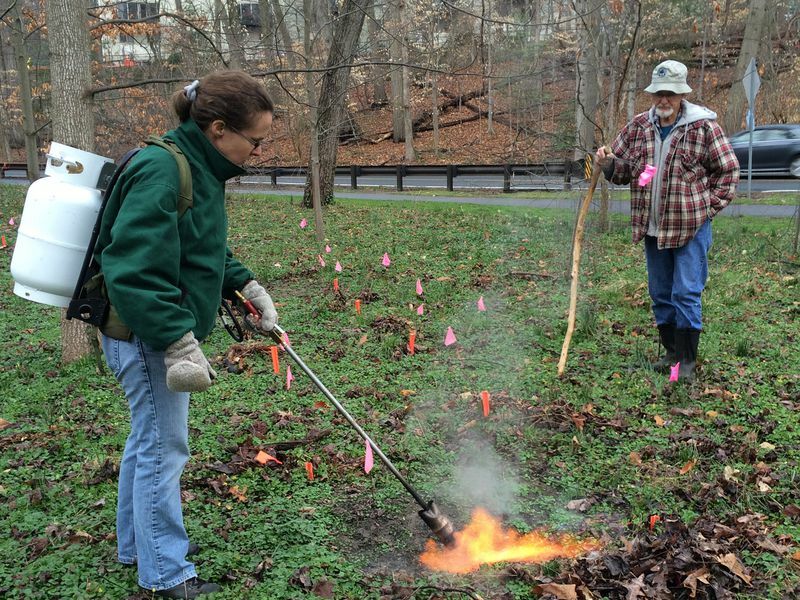 Weed flaming is a cost-effective, safe and non-toxic method for controlling weeds, especially invasive broadleaf weeds. As with any compressed gas and flame, safety precautions are wise. •	Refill the propane tank according to the instructions. •	Follow all of the safety precautions that come with the equipment •	Don’t use flaming around dry grass. •	The best time to flame weeds is in the cooler, wetter times of year. •	Don’t flame poison oak or other poisonous plants. •	Keep a fire extinguisher or water supply close in case of an emergency. According to the Propane industry website, propane flame weeding is up to 90-percent as effective as herbicides without the hazardous exposure. 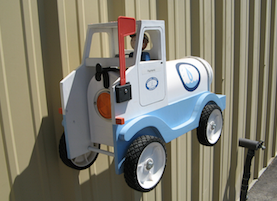 Propane powered vehicles, including farm equipment, produce up to 25-percent less greenhouse gases and up to 60-percent less carbon monoxide than gasoline-powered vehicles. Propane is much more efficient and less expensive than electricity for heating homes, commercial and agricultural buildings. 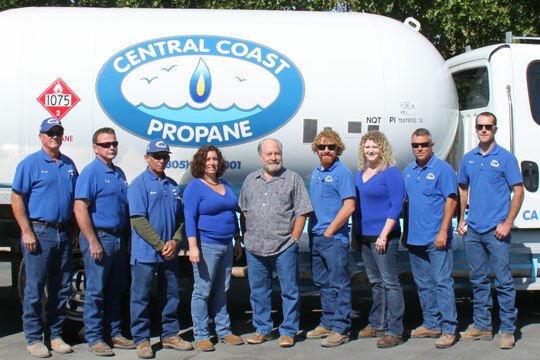 Central Coast Propane has been supplying propane for homes, businesses and agriculture on the Central Coast since 1992. The services include bulk gas delivery, propane tank and underground gas line installation, propane fuel and autogas services, and agricultural and winery services including weed flaming consultation. Propane-fueled school buses are creating a healthier and quieter buzz in school districts across the United States. “These buses are fuel-efficient, they reduce exhaust emissions, and are much quieter than diesel-powered buses,” said Brent Wingett, owner of the Paso Robles propane company, Central Coast Propane. Thanks to settlement funds from the Volkswagen Environmental Mitigation Trust Fund, an increasing number of school bus fleets are choosing propane-fueled buses over traditionally fueled buses. School districts are lowering costs, enabling more funds to be directed into the classroom. According to the Propane Education and Research Council (PERC) propane is reducing nitrous oxide (NOx) emissions, by as much as 96-percent, improving air quality, and these buses run much quieter than a diesel bus. School bus drivers are reporting that it’s easier to hear their passengers and since there is no need shout over the engine noise, the kids are having quieter conversations. A PERC fact sheet reports that propane buses provide the lowest total cost of ownership. Operations factors including eliminating downtime linked to maintenance, on-site fueling stations, the cost of fuel, and lower maintenance costs are all factored in to the overall cost-savings. The amount of funds that are available to school districts varies by state or territory, depending on the number of non-compliant Volkswagen vehicles that were registered there. 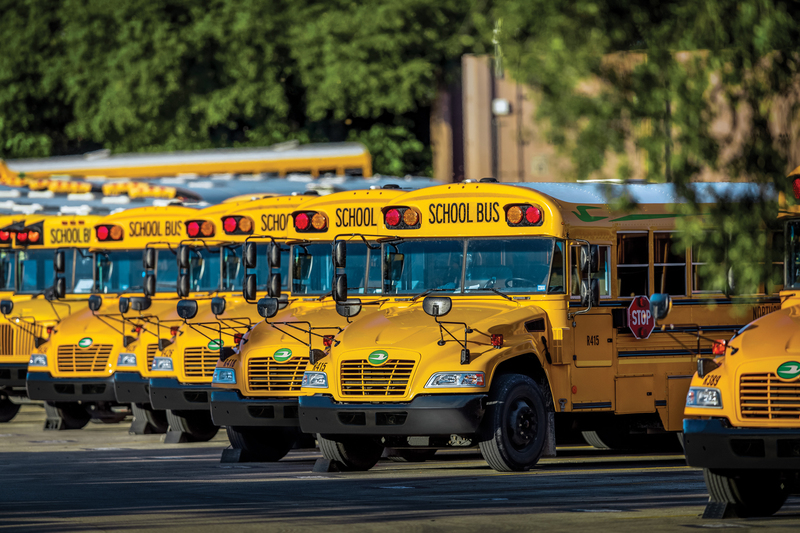 Wingett, the Paso Robles propane company operator, said, “According to the PERC interactive map, 37 California school districts are operating over 1400 propane school buses. This is an exciting move for our state.” Propane used to fuel internal combustion engines is commonly called “autogas,” which is a mixture of propane (LPG) and butane. Autogas is the third most popular automotive fuel in the world and the only alternative fuel with stations in every state in the United States. Propane is separated from crude oil during the refining process and also extracted from natural gas or oil wellhead gas at processing plants. It is normally transported and stored in a liquid state under moderate pressure or refrigeration. Volkswagen’s settlement with the federal government created a $2.7 billion trust that is allocated to state incentive programs for new, low emissions vehicles. 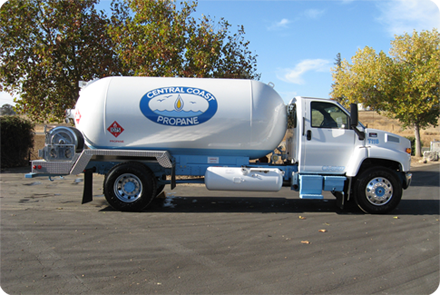 Central Coast Propane has been a provider of propane to Paso Robles and California’s Central Coast since 1992. The company’s services include supplying autogas fuel and dispensing equipment, and providing propane fuel and equipment for residential and commercial needs. Central Coast Propane 6260 Monterey Road Paso Robles, CA 93446 (805) 237-1001 This press release is by Paso Robles SEO company Access Publishing, 806 9th Street, #2D, Paso Robles, CA 93446, (805) 226-9890. Every year, this Paso Robles propane company allows customers to spread an entire year of propane payments between May of one year and March the following year. This makes it easy to manage and predict payments throughout the year. The budget payment plan begins in April 2018 and the first payment on the plan occurs in May 2018 with the final payment due in March of 2019. In April 2019 the plan is settled up by a final payment that zeros out the account. The customer can start a new budget payment plan for the coming year. The obvious benefit of this plan is that customers don’t have to pay each invoice in full every time they get a propane delivery. The same amount is due every month and makes budgeting much easier. The Paso Robles propane company does not charge to participate in the plan but a customer must be a homeowner to be on the plan. It is a great option as it eliminates the need to pay for unexpectedly large propane bills, which can sometimes be difficult to manage. Wingett encourages anyone interested in the budge payment plan to call Central Coast Propane at (805) 237-1001. Customers receive a letter in March that is specific to the customer’s account, provides the monthly payment and more information about the plan. Press release by Paso Robles SEO company Access Publishing 806 9th Street, #2D, Paso Robles, CA 93446. (805) 226-9890. 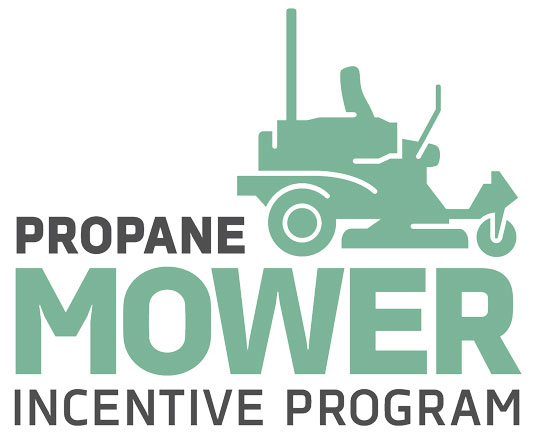 Propane Mowers, Trucks, and Generators Offer Fuel Cost Savings and Cash Back Incentives If you were comparing two models of lawn mowers, and both cut grass equally well, but one cost less to run, required less maintenance, and emitted less pollutants into the environment… well, the choice would be pretty easy, right? This appealing scenario may sound like it exists only in the distant future, but for several local lawn and landscape companies, the future is now – and its name is propane. “We’re seeing more and more lawn and landscape companies switching to propane-powered equipment and trucks, citing convenience, fuel savings and less wear-and-tear,” says Brent Wingett, President of Central Coast Propane in Paso Robles. 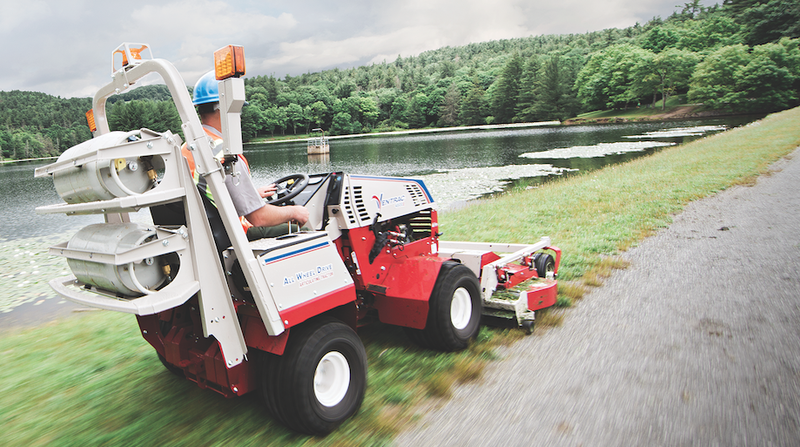 “Commercial mowers consume about five times the fuel of a typical car, so the benefits of fuel savings and reduced emissions continue to grow exponentially over time.” Just how much? Currently, Wingett says commercial propane in Paso Robles is approximately 80 cents cheaper per gallon than regular gasoline, and 60 cents cheaper per gallon than diesel. However, the greatest savings might be in what you can’t see -- compared with gas mowers, propane-powered mowers produce roughly 25 percent less greenhouse gases and 60 percent less carbon monoxide, significantly reducing a landscape company’s carbon footprint on the environment. Reduced Labor Expenses With propane's convenient, on-site refueling, employees spend more time working and less time at the gas station. On the jobsite, employees are more productive. More Competitive Bids Less overhead means a unique edge over the competition during the bidding process and more savings for customers. About Central Coast Propane Central Coast Propane has provided residential, commercial, and agricultural propane services to San Luis Obispo County, northern Santa Barbara County, and southern Monterey County since 1992. CCP owners Brent Wingett and Scott Lindberg are industry veterans, with more than 70 years combined experience in propane. CCP is an active member of the community as well as within the industry. Learn more about Central Coast Propane’s commitment to safety, technology, and the environment at www.centralcoastpropane.com.